I tried these Matalan gladiators on last week (bottom picture). They're cute, comfortable and cost £14. 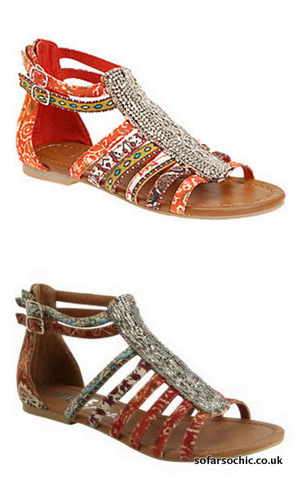 Yesterday I spotted these very similar Aldo sandals for three times the price. 'Ethnic' style glads aren't exactly a classic style – why not save your pennies and get the Matalan ones?